Why is the 1938 Carnegie Hall Concert so Important? The 1938 Concert marks the acceptance of jazz as a legitimate art form by the opinion makers for mainstream American society. Legend holds that the idea to present the Goodman band in concert at Carnegie Hall began as a publicity stunt by Wynn Nathanson, Goodman's publicist. (The publicity stunt assertion shows up hunderds of times, but "Wynn Nathanson" shows up nowhere else on the internet.) Recently, I got this note from Richard Balin, a close friend of the elusive Mr. Nathanson. He writes:"Found your page while looking up my late friend Wynn Nathanson and saw your note about Carnegie Hall. "... An import house of Old World traditions where snobby smirks toward American culture had a way of making status-sensitive Yankees feel like Babbitts for comparing Gershwin to Wagner or Tatum to Horowitz...."
Benny Goodman was initially hesitant about the concert, fearing that Hot Jazz would fall flat before audiences accustomed to classical music. Hollywood Hotel, Benny's most recent film, opened to rave reviews. The giant lines of teenagers waiting outside the Paramount gave Benny the confidence to actively pursue the Carnegie Hall concert with all his faculties. He cancelled recording dates dates and insisted on holding reherasals inside Carnegie Hall to familiarize the band with the special acoustics. Benny worked out a comprehensive program for the concert that was very challenging. He prepared a montage called "Twenty Years of Jazz",that hit the high points in the history of hot music. Finally, he tried to introduce the "highbrow" audience to the excitement of an authentic jam session that would feature some of the stars of the Count Basie and Duke Ellington bands along with his own. 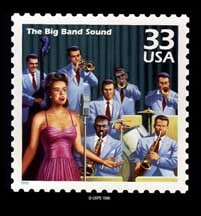 The jam was based on "Honeysuckle Rose" featuring stars from the Goodman band as well as Buck Clayton, Harry Carney, Freddy Green, Lester Young and Johnny Hodges among others. Click here to read Irving Kolodin's notes that helped explain Swing to Carnegie Hall's swank patrons. An unusual footnote to the event was that it was picketed by pro-Franco (i.e. Fascist) opponents of Goodman's support for the Spanish Republican government. Briefly, "Twenty Years of Jazz" was good; the jam session laid an egg, but works by the Trio and the Sextet took off. "Swingtime in the Rockies", "Bei Mir Bist du Schoen", "Stompin at the Savoy", "China Boy", and "Dizzy Spells" built the enthusiasm. The finale, "Sing, Sing, Sing" and Gene Krupa's insistent drumming blew the roof off the house, ending with the counterpoint of pianist Jess Stacy's almost pastoral solo. Click Here to view some photographs from the concert. Here's a selection from "Bei Mir Bist Du Schoen" -- the recording is cut off by the time limit. Martha Tilton returned to the stage and did one more chorus that is not included here. There never would have been a recording of the concert if Albert Marx had not taken the initiative. Marx was married to Helen Ward, who was Benny's vocalist from 1934-1937. He decided to record the concert as an anniversary present for Helen. Two copies were ordered, one for Helen and one for Benny. 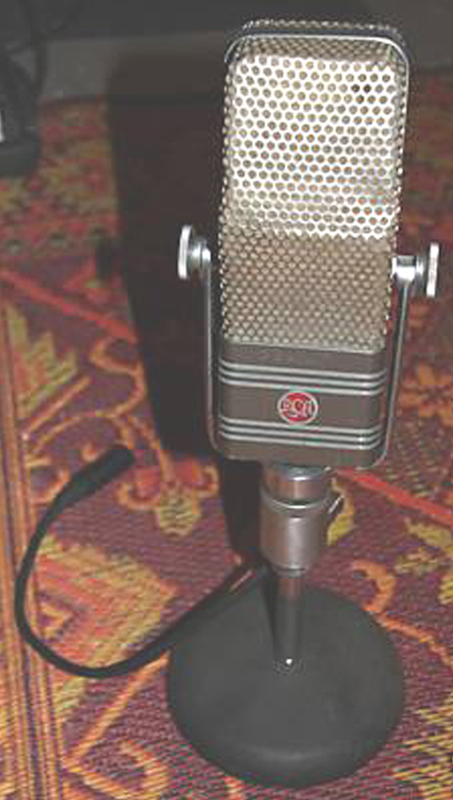 At the time, recording technology was still in a fairly primitive state. 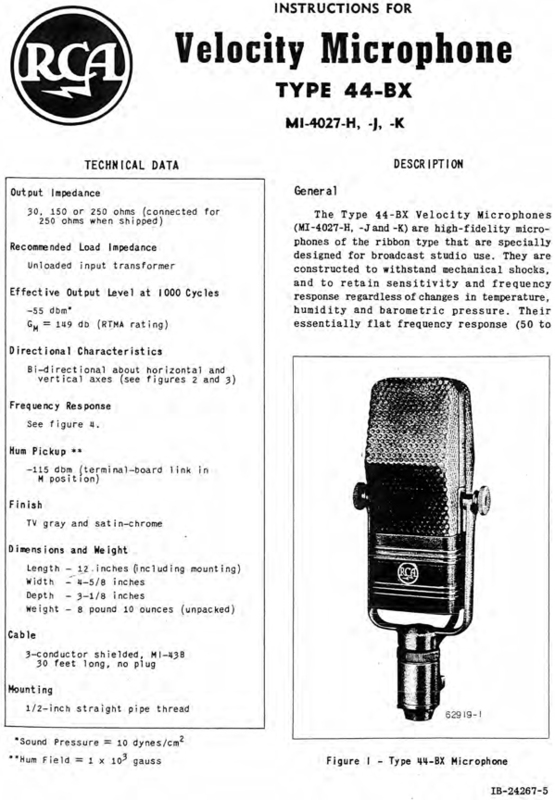 Only three RCA 44BX microphones were used, one above the conductor's podium and two others at ends of the band. The American Federation of Musicians demanded prohibitively high royalties for playing transcribed (recorded) music on the radio. The purpose of this was to provide employment for large numbers of musicians since all performances were "live". 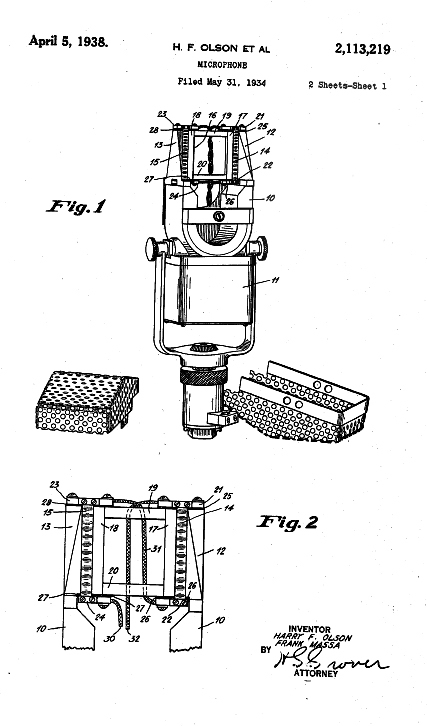 It was not until 1947 that the Supreme Court invalidated prohibitions on broacasting recorded material. Since they couldn't be turned into salable records or broadcast over the air, these transcription discs were of academic interest only. Eventually they were filed away and more-or less forgotten. They waited 60 years to be accidentaly found in 1998. Benny Goodman shelved the idea of issuing a recording from his acetates due to the same contract issues that stymied CBS. Since Benny was busy with lots of other projects, his set of acetates also drifted into obscurity. In 1950, the acetates were discovered by Rachel Speiden (Benny's sister-in-law) when she took over Benny's New York apartment and cleaned out the closets. Needless to say, the quality had degraded even further. 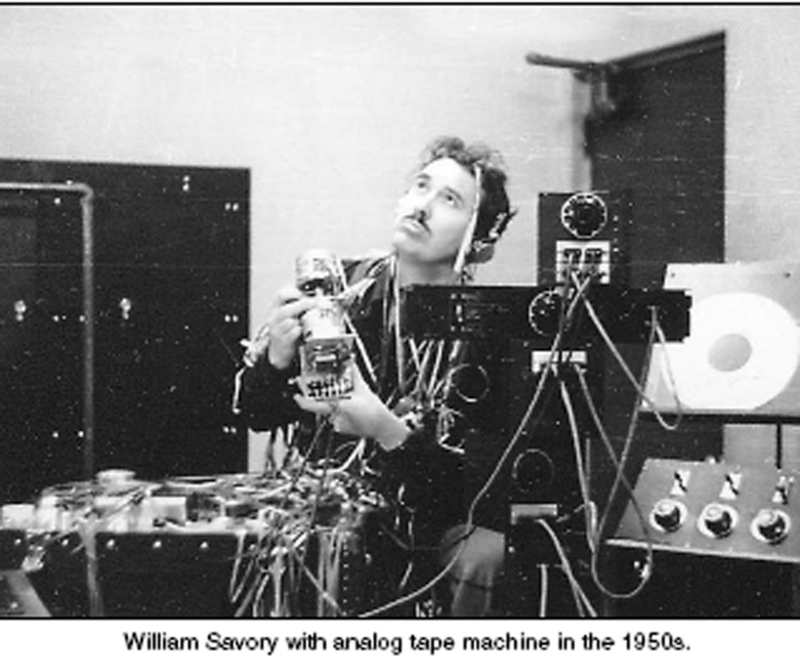 With heroic engineering by Harvard physicist Bill Savory, it was possible to restore about 75% of the concert. Benny was amused when he found out that he had come in sixteen bars late on "Dizzy Spells." Combining Savory's genius with application of massive legal talent, the re-engineered version was issued in 1950 and became one of the first of the 33-1/3 rpm long play records to sell over a million copies. A 1985 rework of this recording using Helen Ward's additional acetates obtained by producer Phil Schaap is available on CD. In early January of 1998, it was announced that the aluminum studio masters had been rediscovered, allowing the entire concert to be reproduced with much better fidelity. This Four CD Set is said by many to have the best sound of all the recordings. This is a film of Benny Goodman's Career, taken from a 1985 PBS Program. Scenes from the 1938 Concert, particularly "Sing,Sing,Sing" are in the video clip. Steve and I attended the New Columbia Swing Orchestra's recreation of Benny Goodman's 1938 Carnegie Hall Concert at the Duke Ellington School Auditorium. I found out, only that morning by reading the paper that only part of the concert would be reproduced, but that Brooks Tegler would be doing the entire concert in Annapolis on Sunday. It was too late to change our plans, however. By the time they got to "Sing, Sing, Sing", however, the band kicked into gear. My personal highlight was "I've Got Rhythm" where Brooks Tegler, on drums and the vibraphone player played a mean duet: vibraphone with a cowbell counter point. Brooks' plays his entire drumset (genuine Gene Krupa), from the rims of the drums themselves (which sound like bells), to the squeak his chair makes when he bounces on the bass pedal. Much like the original concert, there has been great tension between Brooks Tegler and Frank Goldseth--paralleling the tension that Goodman had with Krupa. It's hard to rein in two talented musicians with very strong opinions and high standards of perfection. We sat in the front row during the concert, where, it was very apparent, that all the musicians involved worked hard on the music and were really having fun. Ultimately, that's what counts. Now onto dancing....At the original 1938 concert, there WAS dancing (and clapping, and shouting, and young men rushing the stage), much to the chagrin of both Goodman and the critics. It is often rumored that Goodman was not fond of dancers. From what I've read, I think that while he was willing to play for all sorts of audiences, he preferred to keep the dancers in the ballroom and the concert goers in their seats. Young men, nicknamed "ickies", would hang out around the edge of the stage and gyrating, bouncing, and wagging their heads with the music....the forerunners of "headbangers", if you will. Goodman especially hated these guys. We danced on the sides down in front and in the aisles. The floor was concrete covered with low nap industrial carpeting. We all wore leather bottomed shoes. Frank G. and the crowd were very appreciative. During "Stompin' at the Savoy", we broke into a Shim Sham, once I flew over to the other side of the house to accompany Frank M. and gang. It was really neat to shim sham to this version. All the phrase lengths are the same, but their order was a bit different than on the recording. This made the moves "feel" different, since we were doing them to a different melody line. This made me, at least, emphasize the steps in a different way or even synchopate a bit. The song was also three times longer than we were used to...so even after starting late, we were able to complete the whole routine and dance. In 1938, Goodman featured Count Basie on piano and Lionel Hampton on vibes. It was revolutionary to see black and white musicians together in this sort of venue. It would still be some time before the integration that was common in Jazz would be acceptable elsewhere. Only a year later would Marion Anderson be denied a concert at the DAR Constitution Hall in Washington, DC. Of course, she would go on to sing to a larger audience at a much better venue: the Lincoln Memorial. While the Carnegie Hall patrons basked in the afterglow of having seen the "best musicians in Jazz," the "best musicians in Jazz" took cabs uptown to the Savoy Ballroom, where a much anticipated battle of the bands was taking place. Chick Webb vs. Count Basie. THAT'S where the best musicians in Jazz really were. Playing for dancers. No room for "ickies" or folks paying $15 to sit in cushy velvet seats. This is the review that appeared in The Washington Post --- there is also a review in the local throwaway, the Northwest Current, in which Steve, Sue, the Engels, and others are generally misquoted. Doubtless some members of the audience were in a mood to reminisce about the music of their youth, while a younger contingent of swing-era enthusiasts clearly came to dance the night away. The performance, though, offered listeners much more than a whiff of nostalgia and a danceable beat. For starters, the charts assembled for the concert by band leader and clarinetist Frank Guldseth frequently attested to Goodman's good taste and good fortune. He worked with some of the era's finest arrangers, after all, including Fletcher Henderson and Jimmy Mundy. Moreover, the big band charts and small combo jam sessions were laced with artful contributions from Guldseth, trumpeter Marc Weigel, pianist Larry Eanet and vibist John Cocuzzi, plus the now nonchalant, now explosive Gene Krupa-like drumming of Brooks Tegler. Unfortunately, the orchestra might have been better off using sound equipment available during Goodman's glory days. Frequent problems with the stage monitors and microphones robbed the music of some of its luster and undermined John Tegler's informative narration and vocalist Dana Sanders's performance of "Loch Lomond." A fine singer with a voice particularly well suited to the material, Sanders later got a chance to fully display her talent on "Bei Mir Bist Du Schoen."